SL County Council hopeful shows off bipartisan support. Kanter speaks surrounded by her supporters on Thursday, Oct. 13. 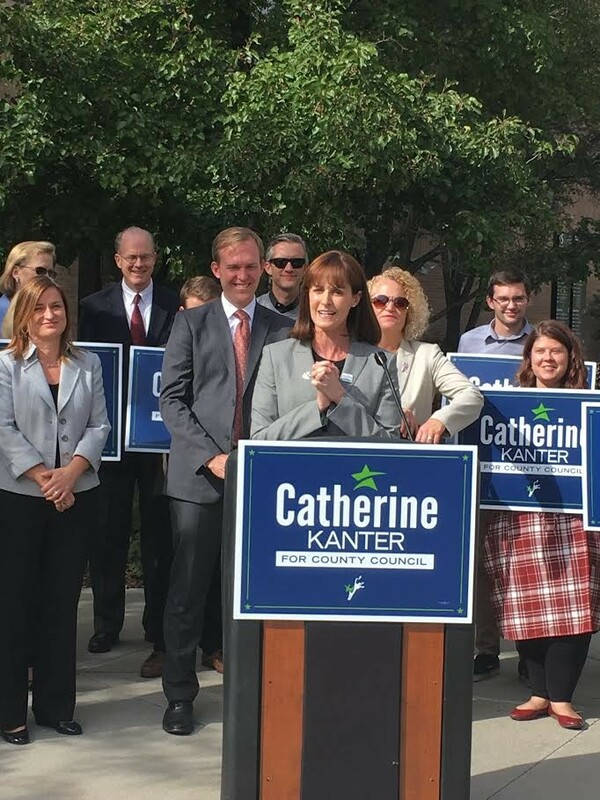 Flanked by local dignitaries, Salt Lake County Council hopeful Catherine Kanter talked at a press conference about the import of the office she sought, and staged the event with high profile supporters. But few people will get the message. That’s because the group of people behind the lectern was much larger than the smattering of folks in the audience. Kanter suspected that breaking news pulled away media outlets from the county building Thursday afternoon, she said after the conference, which included supportive stumping from Salt Lake City Mayor Jackie Biskupski, Salt Lake County Mayor Ben McAdams, and others. The event highlights the challenge candidates in many local races face in relaying their messages to the voting public. And it is contrasted by the weight many candidates place on the jobs they vie for. “I know that by working together with our cities and our townships and our counties, we will find solutions to our pressing concerns such as public safety, poor air quality and watership protection,” she said. Kanter is running as an at-large candidate against Republican incumbent Richard Snelgrove. Local officials react to LDS church’s amendment of policy regarding children of LGBTQ parents. Ever boisterous and outspoken, state senator says lending liberal voice trumps his bill tally. Row between South Salt Lake and muralist gets the burlesque treatment. Gov. Herbert signs contested bill into law.